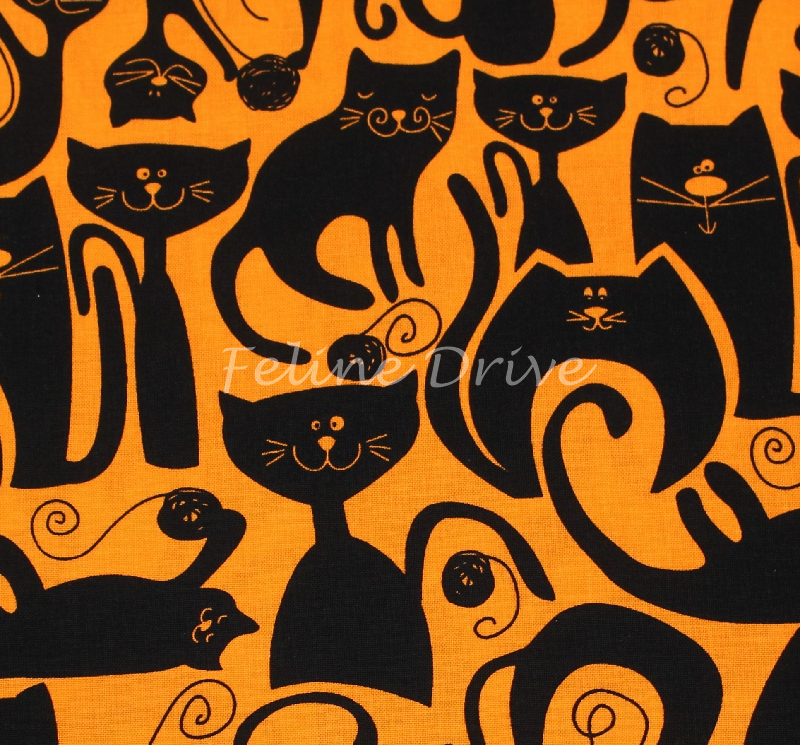 If you like cats, color and whimsy, this is the purr-fect fabric collection for you! Greta’s cool cats have loads of personality, and come in both brilliant brights and soft pastels. Perfect for the babies in the family! 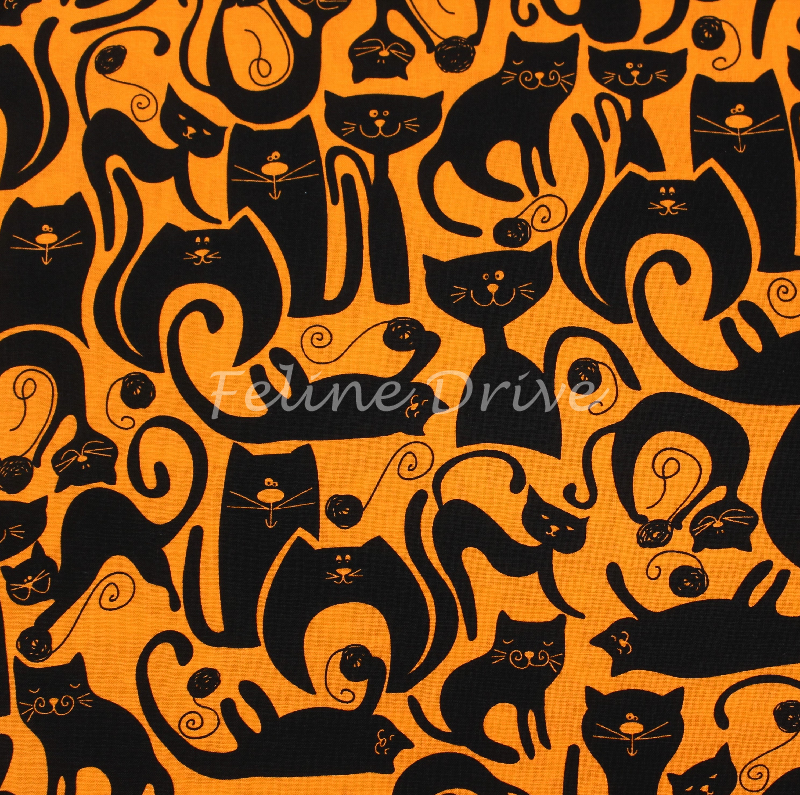 This fabric features black cats on an orange background. Print Size:Cats range in size from approximately 2.5" to 4" long/tall.